Around the world, there’s a never-ending drive for increased productivity. For design teams, this means constant pressure to create more and better designs in less time. This isn’t news, of course–it’s the reason SOLIDWORKS was created, and it’s why we improve the product every year, with new capabilities and new ways of creating better designs faster. Over the years, we’ve found that most users stick with a regular subset of the tools in SolidWorks. For most of you, there are lots of unexplored capabilities and techniques you’ve probably never applied. When faced with the need to use a new feature, a little help can sometimes go a long way in achieving just what you’re looking for in a design. 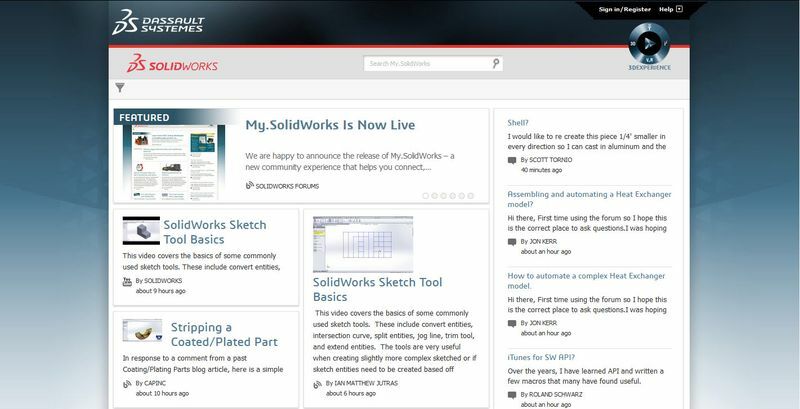 The SOLIDWORKS community website is a great place to turn for the insights you need to get the most out of SolidWorks. With discussion forums, blog posts, online help and more, a visit to the SOLIDWORKS community site will usually result in an answer. And in cases where it doesn’t, it’s easy to pose a question – one of your fellow users can likely offer an advice. 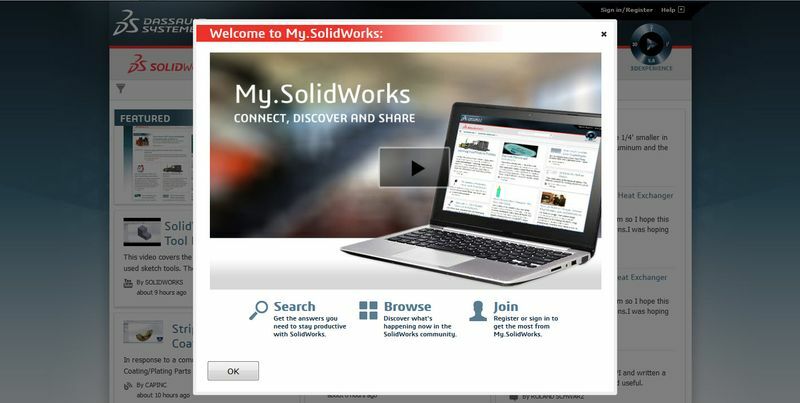 To help build on that spirit of collaboration, we’re happy to announce the official release of My.SolidWorks.com. My.SOLIDWORKS is a new online experience that makes engaging with the SOLIDWORKS community easier than ever. My.SOLIDWORKS gives you a single place to find insight and expertise from all over the SOLIDWORKS community. It lets you connect, discover and share anything and everything SolidWorks. If you’re in need of a quick answer to a question, My.SOLIDWORKS provides immediate access to forum posts, online help, YouTube videos, blog posts and more. You can also search all of those sources for answers with a single click. All of the relevant results are delivered on one page, making it much easier to get in, find an answer, and get back to your design. We know that some of you visit the SOLIDWORKS forums regularly, either to stay on top of updates and examples, or to help others with their SOLIDWORKS questions. If you want to keep your skills sharp or offer their expertise to others, My.SOLIDWORKS represents a single place to engage about everything SolidWorks. 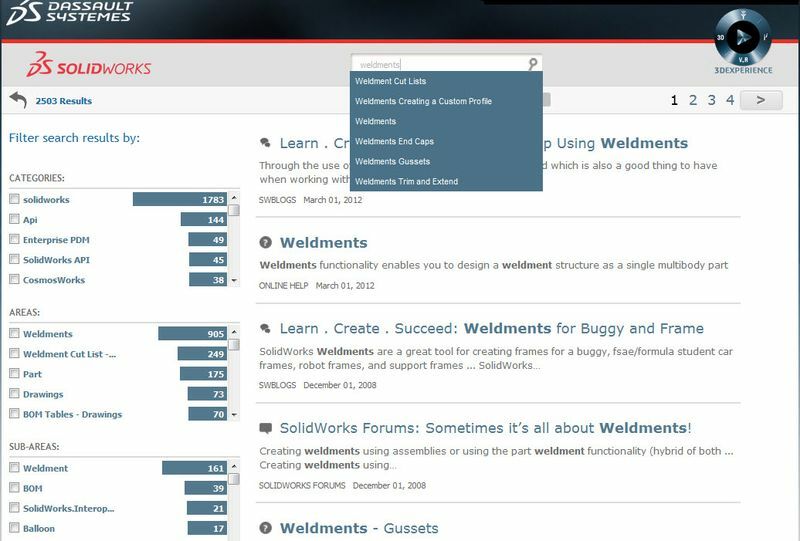 All My.SOLIDWORKS users can benefit from bookmarking useful articles and the option to personalize the kinds of articles that are shown in your view of the community. And My.SOLIDWORKS makes it easy to share useful articles with others. It provides a great value to your team and to you. Anyone can use My.SOLIDWORKS via a web browser at My.SolidWorks.com. You’ll get the most capability when you’re logged in using your SOLIDWORKS customer account. Customers with an active SOLIDWORKS Subscription get additional value by accessing the content tied to a subscription also appears in My.SolidWorks. We will be adding mobile capabilities–as well as an add-in to SolidWorks–soon. 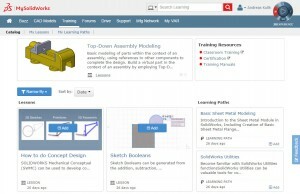 MySOLIDWORKS Training – NEW 120 online training modules added tailored to meet SOLIDWORKS users needs including SOLIDWORKS Certification prep courses. New training content includes SOLIDWORKS Essentials, Advanced Part Modeling, Sheet Metal Design, Assembly Modeling, and more. MySOLIDWORKS Drive – Connects cloud-based file storage services, such as Dropbox and Google Drive with MySolidWorks. MySolidWorks Drive enables SOLIDWORKS users to view their designs online with the eDrawings online viewer and easily share large designs files with manufacturers, colleagues and vendors from anywhere. MySOLIDWORKS Manufacturing Network – Designed to connect SOLIDWORKS users and reliable manufacturers with 3D Printing, Sheet metal, CNC Machining and Injection Molding capabilities. Starting today – Manufacturers can register to get listed on the Manufacturing Network and SOLIDWORKS users can recommend manufacturers to be added. Coming soon – SOLIDWORKS users will be able to find and connect with these manufacturers to get physical parts made fast while manufacturers will be able to reach SOLIDWORKS users more directly to promote their services and respond to RFQ’s. 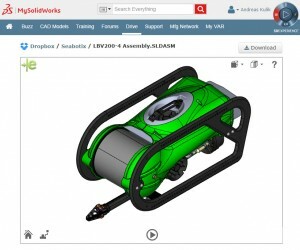 Try out our new services and capabilities on my.solidworks.com today!